In a recent report by the Bradford city council, shocking information about gambling and problem gamblers has emerged. With the most deprived areas holding over three quarters of all the gambling venues in the city, the council claims the NHS still does not fund any of the necessary specialist treatment services. Let’s take a look at it. If you follow the latest online gambling news, you can find more articles about gambling addictions and gambling awareness. Feel free to check it out. Bradford city council’s Corporate Scrutiny committee will meet this week to highlight the districts which pose potential problems, also to be mentioned is that they will talk about the risks in gambling, how anyone can be affected and how people may experience consistent problems with their gambling behaviour. The report released by the council states gambling problems are significantly higher in areas classed as ‘industrial, traditional manufacturing and multi-cultural’. Of the 83 gambling spots in Bradford, 61 are bookmakers, there are 4 bingo halls and 3 casinos. Only a handful of them are located in the city centre whilst the others are set up in the ‘deprived areas’ according to the multiple deprivation rank by the Office of National statistics and the location of gambling premises. In compliance with the national benchmark of the indexes of multiple deprivations, 32.5% of Lower Super Output Areas qualify as “most deprived. In these deprived areas, the gambling spots are usually located near sources of credit, to make for easy targets. 44.5% of the gambling premises in Bradford can be found in LSOA in the most deprived category compared to 78.3% which care located in an LSOA ranked amongst the top three in most deprived rankings category. Estimations report Bradford could be home to 2,500 to 7,000 gambling addicts. The only specialist for them is a service called Krysallis which holds weekly sessions. They could only deal with 143 people last year and if the committee manages to assemble a Local Area Profile for gambling, they could protect the community more. 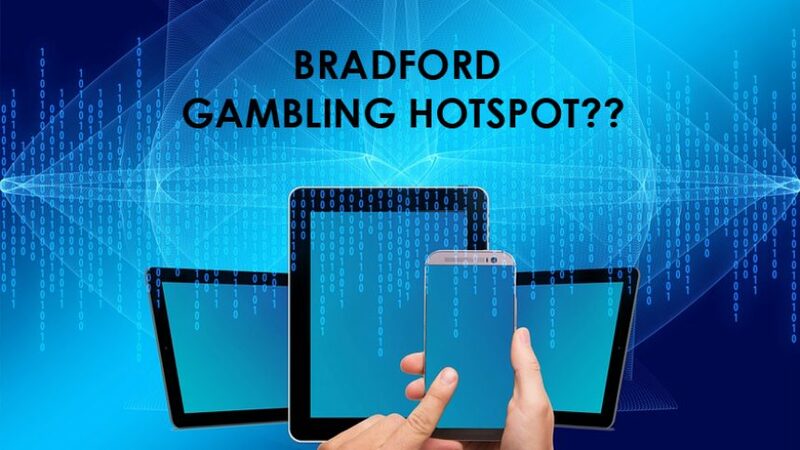 The Bradford gambling hotspot could harm the lives of many people and their families, is it right that gambling venues can open spots in the most deprived areas, or should tougher laws be held against corporations and companies who are looking to exploit the vulnerable members of the public, let us know in the comment section below.